Luxury 3 BEDS/2BA single-family home tranquil water view minutes from Lake Nona. Wow! Youll feel right at home in this move in ready immaculate home that shows just like a model. 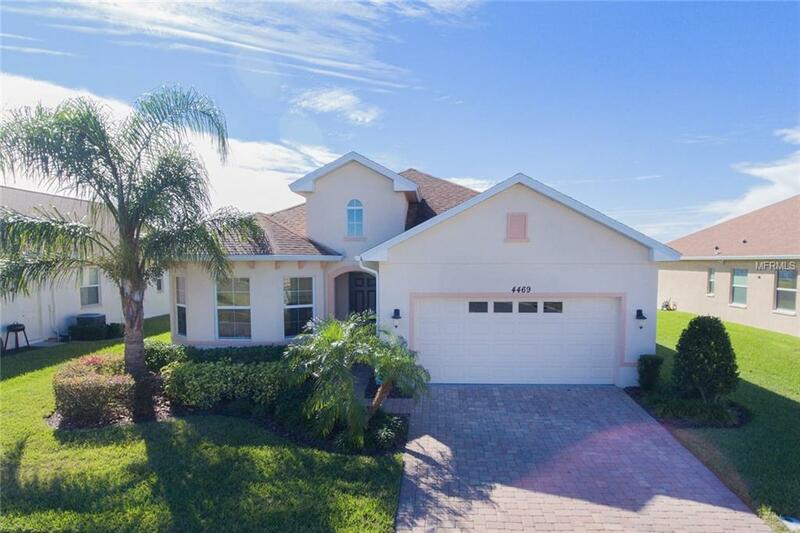 Tons of natural light, high ceilings, in the highly desirable North Pointe gated Community nestled on the banks of East Lake Toho.Sits on an extra wide lot offers 3 large beds/2 ba, formal dining area, family room, flex room, laundry room, 2-car garage. Upgrades Cherry Shaker Fruitwood 42 kitchen cabinets matching bathroom cabinets with custom handles. Custom blinds throughout upgraded tiled flooring & fitted alarm system. Large open-plan kitchen (appliances included) granite countertops and adjoined spacious family room. Sliding doors lead to the covered West facing porch with pond view and stunning sunsets. Master has walk-in closet, ensuite, dual sinks granite countertops, soaking tub, shower stall and sliding doors to the porch. There is a clubhouse, community pool and a playground perfect for the little ones. Conveniently located close to OIA, I-4, 417, 528 easy access to theme parks. Close to Lake Nona Town Center for shopping, restaurants, VA Hospital and Medical Center, UCF Health Sciences Campus, UF Research Center, Valencia College, Lake Nona Golf & Country Club. Close to K-8 charter school, the new state of the art, "STEAM" high school (opening Fall of 2018) and the popular Austin Tindall Regional Park annually hosts soccer, football, lacrosse and rugby events. Seller is highly motivated to sell. Additional Lease Restrictions Buyers Agent To Confirm Lease Restrictions With Hoa. Pet Restrictions Buyers Agent To Confirm Restrictions With Hoa.